Dr. Allan Warshowsky is a board-certified Ob-Gyn who had been in private practice from 1977 – 2009 in the New York City and Bethesda, MD area. He spent the last ten years developing a practice of integrative holistic women’s healthcare. He has expanded his practice to include men and teens and has moved this practice to Rye, NY.His practice therapies range from the conventional to the purely holistic. Some of these holistic modalities include nutritional therapy, vitamin and herbal treatments, lifestyle changes, visualization and imagery, and other stress modification therapies. He has had great results treating the discomforts and problems of menopause using natural, bio-identical hormones and other integrative, holistic approaches. Dr. Warshowsky has been very successful as a facilitator of optimal health to those in need. His book “Healing Fibroids – A Doctors Guide to a Natural Cure”, published by Simon and Schuster, describes Dr. Warshowsky’s holistic program for fibroid tumors of the uterus. Dr. Warshowsky was a founding physician and director of the Women’s Program at Beth Israel’s Continuum Center for Health and Healing from 2000 -2003. 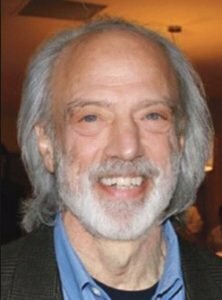 A Founding Diplomat of and Director Emeritus of the American Board of Integrative Holistic Medicine.